I have to be honest here. I was a bit sneaky when announcing I was going to Colombia this year. Or rather, I didn’t announce I was going at all. I just updated my facebook location status once I got there saying I’d arrived in Cali, the first city I visited in Colombia. At first I wasn’t even sure I was going to do that either. 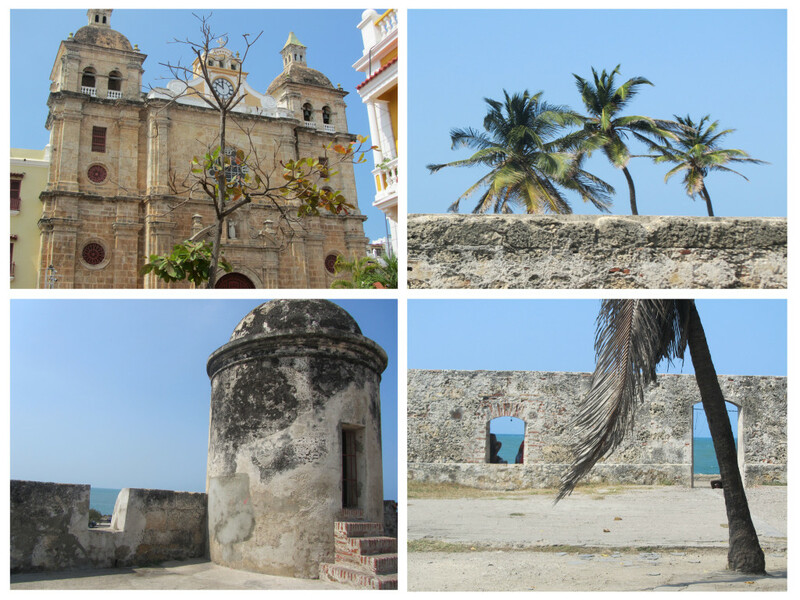 My initial plan was not to mention I was going to Colombia at all until after I’d been, but then I thought as a solo traveller it would be unwise not to update people of where I was going and when. This has nothing to do with it being Colombia that I was travelling in, just the fact that I’m travelling solo and bad things can happen anywhere. You should always update people every few days of where you are and where you’re going as a bare minimum just in case, so I decided not to be stupid and I let people know where I was. But the problem with telling someone you are going to Colombia in particular is that there are always people of a certain generation who will remember the news headlines generated about the country from yester years. They’ll worry themselves sick about you going. More often than not those headlines of great violence from this country’s past history are the only things that people (where I come from in the UK) have ever really heard about Colombia too. I guess the nature of the news is that when it reports on other countries it’s usually only because something bad happened. When the country re-generates or makes huge improvements in its crime rate for example, news stations are usually uninterested in reporting on these more positive aspects. Depressingly, less people watch the news when they report on happy things and so until we tune in for more of the right things this will be the case for any country who goes through a bad period in its modern day history. So was Colombia dangerous and is it dangerous now? At one point during the 70’s and 80’s Colombia was reportedly responsible for up to 80% of the world’s cocaine produce. Cartel leaders such as the infamous (and now dead) Pablo Escobar ran brutal accept-a-bribe-or-die-type campaigns that meant his home town of Medellin became at one point the city with the highest murder rate in the world, with the crime rate dropping somewhat not long after his death. The guy would literally kill anyone who got in his way. That and every other time Colombia seems to hit our tv screens it’s because the FARC have done another bombing. So feelings of unease in regards to your loved ones travelling to Colombia are not entirely unjustified, they are just simply outdated. I’ve been in Colombia for over 2 weeks now and will have been in the country for around 20 days by the time I fly to Brazil on the 17th of January (2014). 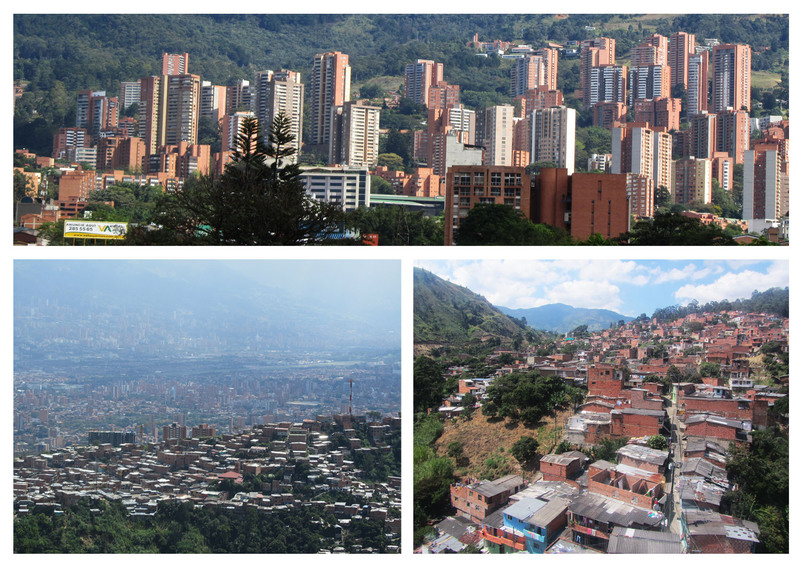 In that time I’ve visited 6 destinations in Colombia (Ipailes, Cali, Bogota, Medellin, Cartagena, and Santa Marta.) Not once have I had an issue related to safety. I’m not saying that something couldn’t happen, as bad things can happen anywhere, but I haven’t once felt unsafe here. In fact, most people I’ve met (particularly here where I am right now in Santa Marta) have been especially friendly. Little things like how people always say good morning or afternoon to you as they pass, or how they help you with your bags in the shops, or to squeeze your luggage onto the bus before it drives off. All of these things were very endearing. The best thing about Colombia for me though has just been the overall friendly nature of people in how they quite often just strike up a conversation with you in public places. Often when they find out you’re not from Colombia they become very interested in finding out a bit more about your country and why you came to Colombia. It’s lovely. Of course, like anywhere Colombia’s biggest cities do have their dangerous parts, e.g. 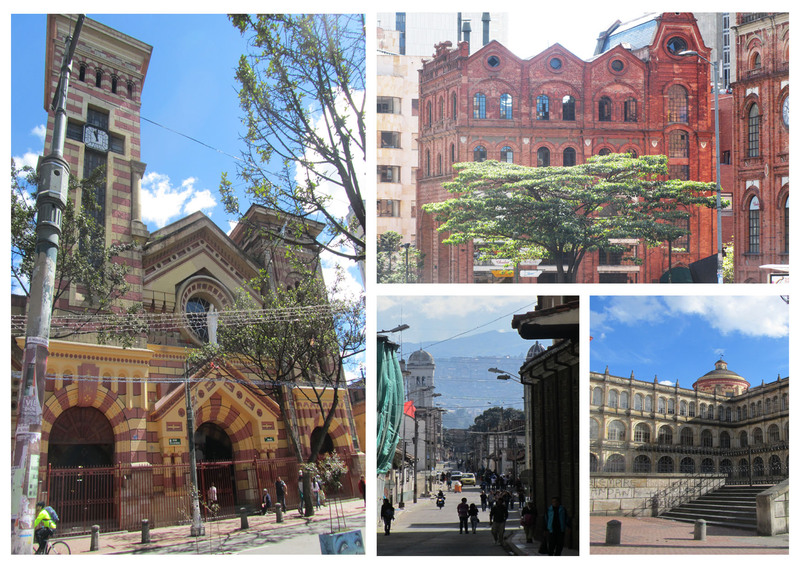 there are certain parts of Bogota that I just wouldn’t walk down (especially at night), as well as in Medellin or any of the other main cities. But then the same could be said for walking about in any big city (e.g. parts of London, Paris, New York etc) when it comes to wandering into certain areas that are known to be dangerous. So it’s important to do you research before you visit any city in Colombia just as you would anywhere else. I also currently won’t travel to the Colombian Jungle as personal choice. Whilst the FARC are extremely depleted compared to how they were in previous years and most of their commanders now dead, they still exist and their bases are in the Colombian Jungle as it’s naturally an easier place for them to hide. However, to get around this problem I simply opted to do my Amazon Jungle tour in Ecuador before I came to Colombia to avoid any slim chance of something bad happening out there. Has this image of crime impacted on tourism in Colombia? Whilst tourism is certainly booming in Colombia compared to what it used to be during the troubles, the truth is that despite the country’s major progressions in recent years in tackling crime, it is only very slowly that people are beginning to trust that they can come here again and feel safe. Images of violence, kidnapping and terror on our news screens have a huge impact on tourism that last years beyond any problems that may actually have existed in the countries which are being reported on. And I’m not saying that those images blasted across our TV screens during the days of Escobar or the FARC in their ‘heyday’ (for want of a better word) weren’t justified at the time, but it is just simply not like that anymore. The country is much safer than it used to be. What is the future for Colombia? Ironically Colombia’s cartel history is now becoming part of its touristic appeal. For example, the hostel I am in right now in Santa Marta is actually a former cartel house. In Medellin you can take part in the Pablo Escobar tour where you actually get to meet his brother (depending on which tour you take) and see the grave site of the man himself. I guess there’s also the curiosity factor. I’m not going to lie, whilst I did do my research before coming here to asses whether or not the country was still dangerous (and I wouldn’t have come if I felt it wasn’t safe enough), there was a part of me that got a buzz out of the thought that I was going to see this place with my own eyes. That I would step foot in cities once referred to as the most dangerous in the world. There was a definite flutter in the stomach when I got my entry stamp at border control and took my first steps into the country. And whilst the country has been very different to how I imagined it to be, I have thus far only good things to report on it – which I’m very pleased to say. – If you liked reading this article you may also be interested in reading 5 things you should know before you go to Ecuador, another article I wrote recently. I’d love to visit Columbia! I watched an Anthony Bourdain episode filmed there and it looked amazing! It’s great they’ve been able to turn things around. Since I first set foot in South America 4 years ago, I’ve been told how silly I had been not to have gone to Colombia. But the media really don’t do it justice anymore and I hadn’t even thought I could go there. While everyone on the continent told me good, beautiful stories about that country, I made up my mind not to miss out on it again. This year is the year. We’re heading to Colombia late August. I’m happy to read your article, one among many others, which tells the truth about travelling there today. Enjoy your last few days there! Great article! I think you balanced out the “danger” side to Colombia well. No, they are not without their problems now but it is now a “safe” country, especially for tourists. Glad you got to go and enjoyed it! Great post! Am also working on some safety updates for travel to Mexico and parts of the Caribbean, so thinking safety these days:) Columbia has bee on my bucket list for a while now, glad to hear your experience there has been positive! The country has come a long way and unfortunately with the news and all, people just don’t hear about it. Hi, I went to South America on my own in 2003, and to Ecuador alone in 2005 and 2009 – no problems at all, you just have to be sensible. The first time I went I joined a Spanish academy and stayed with a family which put my family’s mind at ease – perhaps you could try that to make you feel more comfortable. I have some Colombian friends in London who will be moving back to Cali in 1 year, they say it has changed a lot in the last 20 years and is becoming popular with tourists. They have 2 small children so I am sure they would not risk there children being hurt if it wasn’t safe. All there family still live in Colombia without problems, so Im sure its fine -ans think of all that Salsa and cumbia music you can dance to!